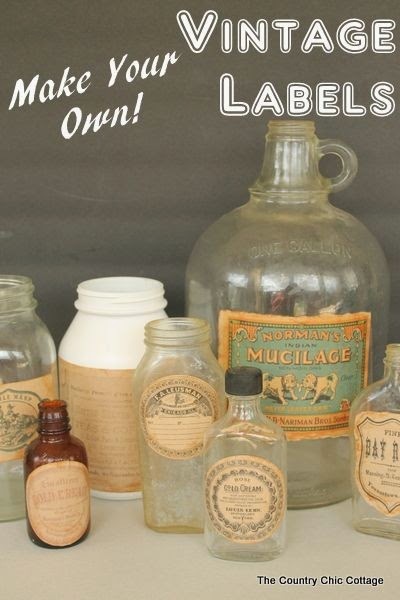 Best DIY Projects : Make Your Own Vintage Labels. I can't wait...perfect for our bathroom!!! Thanks, Rachael!!! Do you love vintage labels on old bottles and containers? Grab some kraft paper labels from Online Labels to make your own vintage look-a-like labels in minutes. I have the free printables for you below and you can use some ink to distress the edges. Follow along with the instructions below to make your own vintage labels.